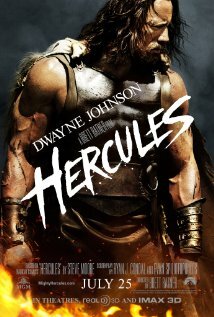 Dwayne “The Rock” Johnson takes a turn at playing the titular hero in this rationalization of the legend of Hercules. The legends are tales told by his nephew Iolaus to spread his fame. With his companions, played by an interesting cast of unknowns, with character actor Ian “Lovejoy” McShane playing the role of mentor, Hercules goes to the aid of the regent of the young king of Thrace, played by veteran actor John Hurt, to help fight a civil war against a mysterious enemy. Hercules’s outer conflicts are mirrored by his inner battle with the demons of his past, and his guilt over causing the death of his wife and daughters, which led to his being banished from Athens to become a wandering mercenary. Retelling a legend is always risky. Hercules walks a fine line, but succeeds where Troy failed. This entry was posted in movies and tagged dwayne johnson, hercules, ian mcshane, iolaus, John Hurt, movie, review, the rock. Bookmark the permalink.